Michael attempts to show off his Spanish negotiating skills by haggling with a vendor at a local street market, or tianguis. 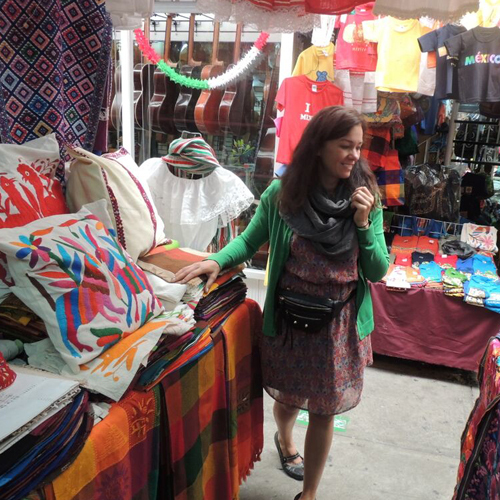 In this episode, we cover how tourists can sharpen their negotiating skills in Spanish and Paulina tells us about the culture behind haggling prices in Mexican street markets. In the round table discussion afterward, we examine some of the interesting topics from the dialogue. The bonus audio includes an additional review of the episode’s colloquial expressions and phrases relevant to a Mexican street market and Paulina gives us more examples of how to use them in real life situations. Haggling prices in Spanish is a regular phenomenon at street markets all across Latin America. Join Michael and his family as they attempt to get a lower price on some merchandise at a street market in Mexico.